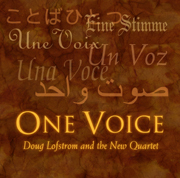 Composer and bassist Doug Lofstrom, formerly composer-in-residence for the Metropolis Symphony Orchestra and musical director of Chicago's Free Street Theater, has composed and arranged a wealth of stunning orchestral and chamber music. His works have been performed by the St. Louis, Indianapolis, and Milwaukee Symphony Orchestras, and the Present Music, Tales & Scales and Revolution Chamber Ensembles, among others. He is currently on the faculty of Chicago's Columbia College. Violinist James Sanders regularly performs with the Ravinia Festival Orchestra and Symphony. Multi-reedist Michael Levin has performed with artist as diverse as Diane Schurr, Clark Terry, and the Temptations. Pianist Leandro Lopez-Varady originally from Argentina, recently settled in Chicago after touring the Far East with jazzman Eldee Young. 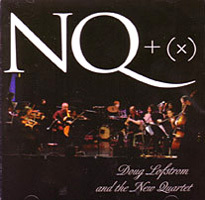 In addition to Lofstrom's cross-genre chamber music, the New Quartet features tangos by Astor Pizzolla, chamber music of Bach, Mozart, Bartok and Stravinsky and early classics from the Duke Ellington Orchestra.